Design your own ring, create your own necklace, make your own earrings, whatever piece of jewelry you choose to design, our artisans can turn your vision into a reality. 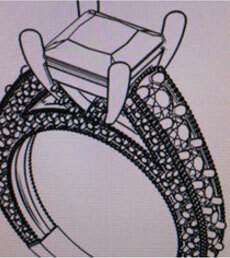 During your free consultation you can request a custom rendering of your ring and receive a price quote. Whether you’re hoping to realize a specific vision for the perfect jewelry piece, or looking to work closely with a master craftsman to develop a wholly original design, we invite you to use our custom ring design service at Pompeii3. We’re thrilled to offer the perfect venue to design an engagement ring online, as well as custom earrings, necklaces, and much more. 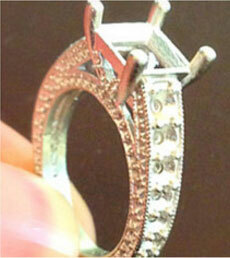 Crafting a fine jewelry piece that is truly unlike any other has never been easier. 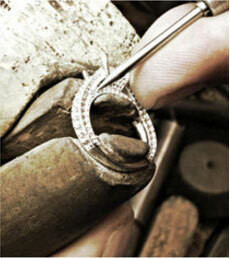 Our skilled jewelers will guide you through every step of the process, from concept to execution. With decades of experience in fine jewelry design and craftsmanship, we make it easy for you to create your perfect ring using our dedication to the highest caliber of techniques, quality materials, and expert detailing. Get started on your custom ring by submitting the form below.